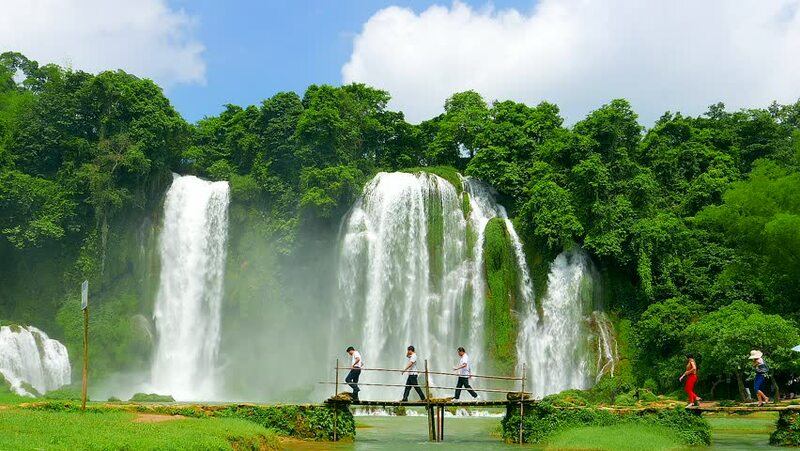 Ban Gioc Waterfall - May 2015: Visitors crossing wooden bridge by the waterfall. Vietnam. hd00:27Wachirathan waterfall : waterfall in doi inthanon national park, Chiang mai,Thailand. 4k00:114K time lapse video of Mae Klang waterfall, Thailand.